When it comes to using data to determine how to build a team or manage a game, the National Football League appears years behind its professional sports brethren such as Major League Baseball and the National Basketball Association. But perhaps the increasing popularity of machine learning can change that by helping NFL teams make more sense of their very complex datasets. Delving deep into the world of computer science might sound like overkill, but professional football is big business in America, and an analytic edge off the field might be just as important as athletic or strategic edges on the field. Heck, it might help create them. The New York Times highlights the current state of statistical reliance among NFL teams in an article on Sunday. The NYT’s Judy Battista reports that teams are finally beginning to hire statisticians and take statistical analysis seriously in limited areas — but there’s always a disclaimer. Football is such a variable-rich and complex game, her sources claim, that the human eye and human intuition will always be best at assessing certain things. Offensive line play can be difficult to gauge because the line is a five-person unit designed to work well together, not as a collection of individuals. How do you statistically assess a middle linebacker who doesn’t make a lot of tackles but who’s always in the mix and disrupting the offense? When it comes to calling plays, there might be limited data on any given situation (e.g., a particular down and distance to go from a particular spot on the field), and the outcomes might be very much influenced by the players on the field in each of those prior situations. This is a lot different than in a sport like baseball, NFL analytics expert Tony Khan told Battista, where it’s much easier to break down statistics to an individual level and make Moneyball-like decisions about given players and circumstances. However, companies of all sorts are increasingly using machine learning algorithms (and related techniques) to detect patterns and correlations among complex datasets, and there’s a growing number of software products hitting the market that either incorporate machine learning or are built entirely upon it. It stands to reason that NFL teams might consider giving these techniques and technologies a chance, too. Machine learning seems ideally suited to analyzing football data because of the complexity of the incredible number of variables that teams have to consider. Rather than requiring human beings to hypothesize and test, for example, how a mix of player statistics, combine performance, situational data and weather affect a given outcome, the algorithms can step up and find out whatever variables actually matter most. And all that game-film analysis NFL teams like to do? Well, if teams were inclined to spend their hefty profits hiring data scientists and systems engineers, perhaps they could replicate Google’s (s goog) results in video recognition in order to automate some portions of the film analysis that costs coaches untold hours. 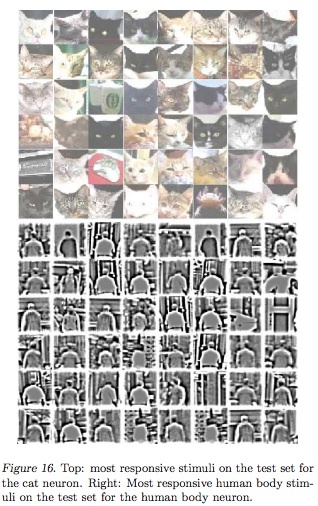 Instead of detecting cats or human bodies, perhaps algorithms could uncover patterns in gameday videos that humans either can’t see or don’t even think to look for. At this point, coaches, general managers and other football experts come into the picture to impart their own expertise on the information provided by their computers. Maybe they decide, for example, that a player’s salary isn’t really worth much weight despite a strong correlation uncovered by the algorithms between how much the players on the field are paid and the percentage of fourth downs converted. Or perhaps they instruct the engineers to recalibrate the video-recognition models to ignore officials and referees when analyzing film. It’s the same technique that companies such as ZestFinance use in order to make their machine learning efforts more accurate. As ZestFinance Co-Founder and CEO (and former Google CIO) Douglas Merrill explained to me recently, his company was able to significantly increase the accuracy of its credit-underwriting model by applying “human artistry” to add context or prune the results after its machine learning algorithms had analyzed some 70,000 variables. Even if NFL teams don’t go crazy building computer science divisions and predictive models, machine learning could almost certainly provide some new information on which coaches and others can apply their considerable subject-area expertise. Even the source who espoused to NYT’s Battista his reliance on game film also acknowledged, “Ideally, you want the objective and subjective to match up.” Good NFL teams have the latter figured out; machine learning could help them get a better handle on the former, too. Feature image courtesy of Shutterstock user B Calkins. Sometimes experts in a field are the most reluctant to admit to the limits of their intuition, perhaps because they feel that this will devalue the intangibles they can bring to the table. We saw this in the arguments between several old-fashioned political pundits and poll crunchers like Nate Silver this past election cycle (which didnâ€™t work out well for the pundits). I could imagine a skillful use of big data making a difference on draft day; for example, it might help a GM choose between two players at the same position by isolating key variables that are likely to predict success or failure in the pros. There are so many variables involved in successful talent evaluation that expert judgment will continue to be critical. That said, a more data-driven process might help decision makers correct for their own assumptions and biases about what attributes are most critical for an NFL player â€“ and maybe cut down on the number of spectacular early-round busts, which are still common despite all the resources teams put into scouting and evaluation. I saw a great presentation by Rick Welts, President and CEO of the Golden State Warriors in September. What they’re doing in the NBA to both strategize and teach is remarkable and it can only accelerate the NFL, where there are more than twice as many players, defense and offense trade off, and the combination of plays is exponentially higher. Once we’re using analytics to win, we obviously need the same analytics to ‘not lose’, meaning this is a wide-open field that will be developing for years to come.